Samuel Anthony McGloshen, 75, of Clarksville, Indiana, passed away on Tuesday evening, December 4, 2018. He retired from K-Mart after many years of dedicated service. Sam had many gifts, which included storytelling and expressing his creativity through art. He also had a great sense of humor and a positive outlook on life. He was born on June 23, 1943, in New Albany, Indiana, to the late Charles and Virginia (Edris) McGloshen. Sam was also preceded in death by his son, Michael McGloshen; and brother, Patrick McGloshen. Sam is survived by his wife of over 34 years, Linda (Russ) McGloshen; children, Scott McGloshen (Michele), Angela Smith (Larry), Kimberly Feicht (Charles), and Sean McGloshen (Denise); mother, Norma McGloshen; siblings, Larry McGloshen (Jeananne) and Mary Smith; sister-in-law, Binky McGloshen; 10 grandchildren; 7 great-grandchildren; and several nieces, nephews, and his beloved cat, Charlie. Cremation was chosen and a reception of family and friends will be from 4:00 p.m. to 6:00 p.m. on Friday, December 7, 2018, at Newcomer Cremations, Funerals & Receptions (3309 Ballard Lane, New Albany) with his Memorial Service taking place at 6:00 p.m. Private burial will take place at a later date at Walnut Ridge Cemetery in Jeffersonville, Indiana. 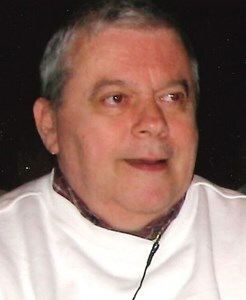 Contributions in Sam’s memory may be made to Hosparus – the Community Hospice of Southern Indiana (502 Hausfeldt Lane, New Albany, Indiana 47150). Please consider sharing a memory of Sam or leaving a special message for his family using the "Share Memories" section below. Add your memories to the guest book of Samuel McGloshen. I was raised to call him and my grandmother "memaw" and "pepaw." Well, one day (I was very very young) we were headed to their house and I said that I couldn't wait to see "meme and peepee" instead of memaw and pepaw by mistake. We arrived and told him what I had said and he just laughed and laughed. It was contagious. That's something I will NEVER forget. As well as his amazing handwriting. I have fond memories of Linda and Sam when I return home to Jeffersonville to visit. He was always so kind and welcomed me into their home. They made sure I had pork wieners when I visited. He will be truly be missed. Sending you my love Linda. Ann Louise. they are a gift to guide you through this time of sadness. I have so many good memories of spending time with dad. When you got Scott and dad together, you never know what was going to come out of their mouths. I am blessed to have had him in my life. When Scott and I first started dating, dad would call us Twiddle Dee and Twiddle Dumb. I will take the Twiddle Dee, lol. I am glad he is pain free now.